Have you (we) been fooled into believing that Google released “just” a browser? Alhtough it seems like the initial deployment franzy came to a squicking hold, the blog world is still in uproar about Google’s latest release. But maybe we should start to look under the Chrome hood to see if Google’s browser is really more the operating system. It may not be too obvious to the everyday user (although they probably did not download Chrome in the first place), but most developers probably noticed that the Task Manager inside the Developer menu not only lists each page you have opened and how much memory and processing time it uses but it also lets you end processes just like your Windows Task Manager or any other OS. Does anybody remember Netscape … ? Just call it ‘Google OS’ already. There have been reports that Google launched a satelite over the weekend to gather high resolution images of the earth. Whereas the launch of the satelite can be confirmed, the involvement of Google is still in question, specfically as the website for the project does not list google as one of its partners. Category: Search | Comments Off on Google Satelite? It seems that LinkedIn got hacked. The site is showing a permanent ‘Http/1.1 Service Unavailable’ message for the last hour or so. It seems long overdue, Google unveils its own browser: Google Chrome. No this time it is not an April Fools Joke (see here in case you’ve missed it). The browser is build on the WebKit open source project which Google also uses for Android and but of course Chroms will also include Google Gears. STABILITY. As useful and fun tab-browsing is, the way Internet Explorer and Firefox are handling tab-browsing is very processor intensive and can lead to a crash of the browser. Google Chrome is usind a multi-process design which should save a lot of memory power. PRIVACY/SECURITY. Chrome has a privacy mode through creation of an incognito window “and nothing that occurs in that window is ever logged”, a feature that is also available in Internet Explorer. 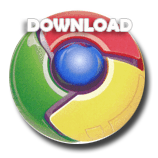 For malware and phishing attempts, Chrome is constantly downloading lists of harmful sites. Whatever runs in a tab is sandboxed so that it won’t affect your machine and can be safely closed. Microsoft be afraid .. be very afraid.